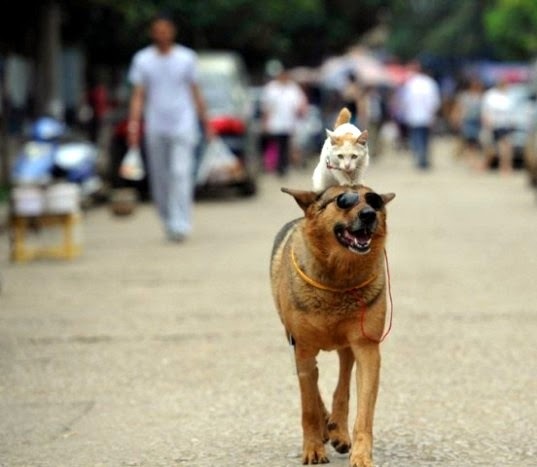 Traveling cat spotted on the back of a dog in the streets of Kunming, China. I'm not letting my cats see this! They might get ideas! I have so many follow up questions about this! What is taped to the dog's leg - a camera? A smart phone? How many different kinds of sunglasses were tested before aviators were settled on? How did the dog and cat meet? Why aren't the passersby more amazed by this?! That is way too cool! Cheers!! the cat has trained him well! What fun photos!! Can't wait to see where else you travel. 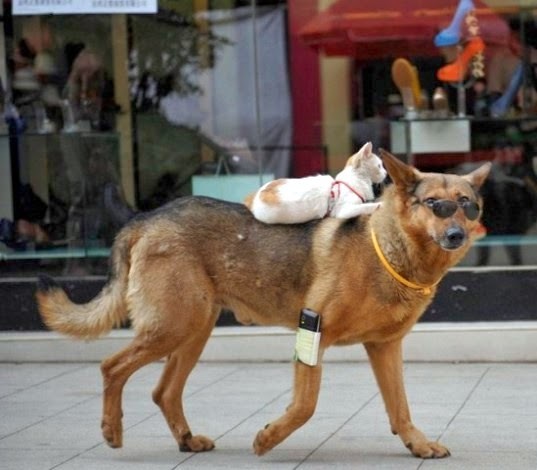 I wonder if the cat likes the dog hitching a ride? Thanks for linking to the hop. Hey, are those the dog and the cat and the rat? I've seen something like that on TV; and yes, it was real. 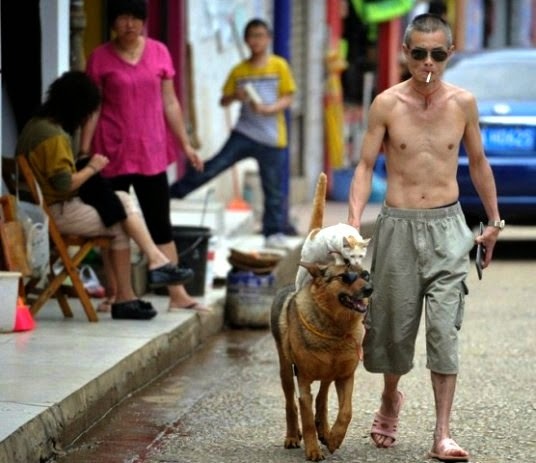 We are wondering what is taped to the dog's leg, too. What an interesting series of photos! Best pictures one can see at the beginning of the day. Made a big smile in my face. Good morning! Oh wow!!!!! That is SO cool!!!! A kitty riding a doggie!!! Love it!! How cute. The cat looks so relaxed. Love that first picture! Awesome! Thank you for sharing on the Pet Parade! That really is a travelling cat! Thats so cute, I love it when dogs and cats get together!! 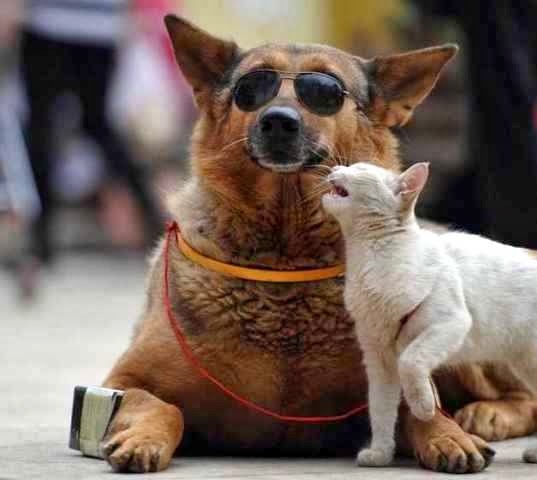 That is one cool cat and one darling dog!! Purrs from the Zee and Zoey Gang! Way cool. Have a great day. That is so wonderful! I love it. Thanks for sharing the joy! Adorable and so loving ~ great shots!